I decided this year I would try harder to identify specific species of Gulls. This is a difficult task as not only do a lot of the species look very similar, but then one also has to differentiate between first summer/winter, second summer/winter, third summer/winter and even some species seem to have a fourth year distinction. 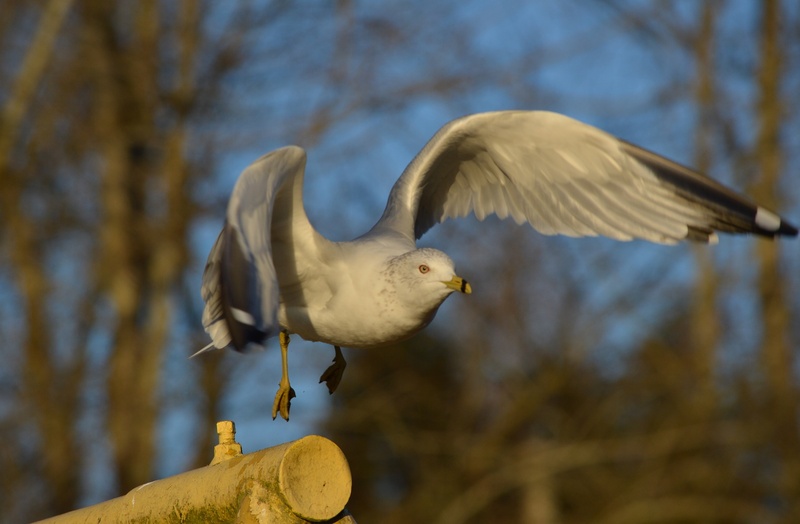 There were many Gulls at Deer Lake on this day. When I got home I noticed one species seemed to stand out in the pictures I had taken. 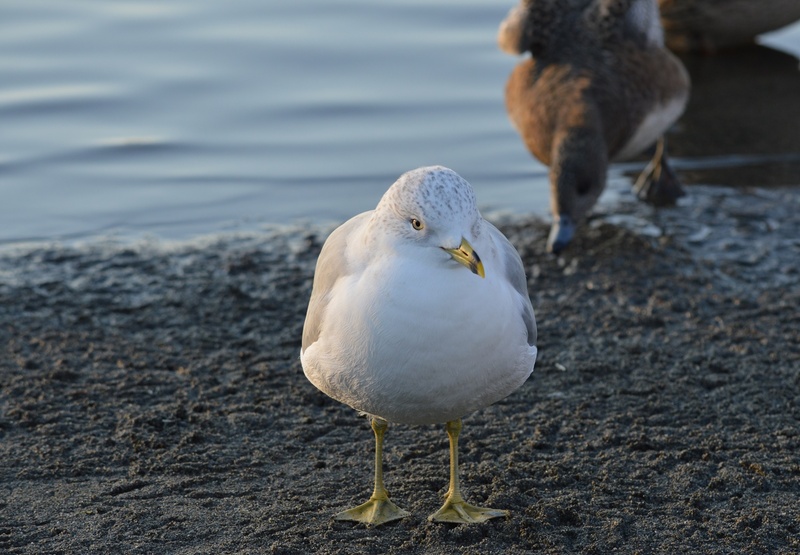 This Ring-billed Gull was pretty easy to identify, with the black ring around it’s beak. They can also have a red ring around their eye, which you can see in the picture above, especially if you click on it to get the larger image. 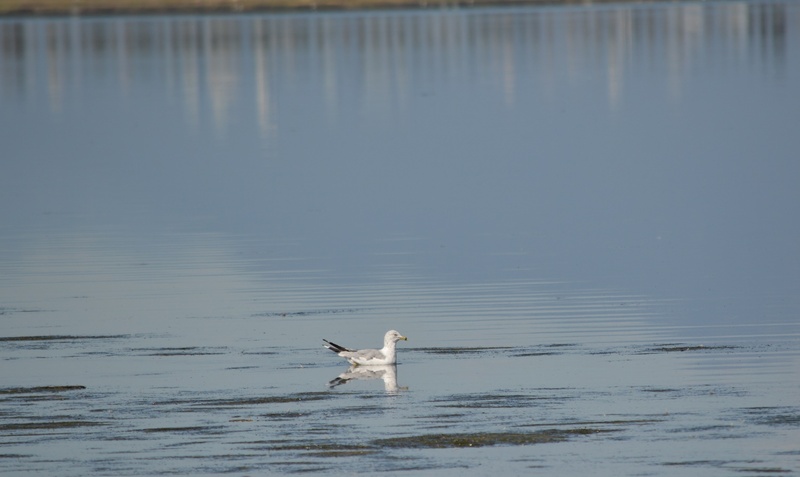 I realized in looking through my Seagull … oops, I mean Gull pictures of last year that I had photographed a solitary Ring-billed Gull while at Boundary Bay (on the memorable day that I unintentionally stepped thigh deep into the muck).